Ka Iwi State Scenic Shoreline, located at the south-easternmost point of Oahu, is one of Hawaii's most beautiful state parks. It is a popular destination for whale watching, if I had to choose between whale watching here or whale watching california it would have to be here but California would come a close 2nd. The shoreline also provides an excellent vantage point to admire the Makapu'u Point Lighthouse as well as Koko Head and Koko Crater along Oahu's southeastern shoreline. The whale watching season along the Ka Iwi State Scenic Shoreline runs from November to March. During this period, more than 10,000 whales can be observed close to this shoreline each year, with numbers peaking from January to March. Whales arrive in the waters of the Hawaiian Islands to mate, give birth and nurse their calves. Bring your binoculars to be able to spot the whales better. The shoreline can be accessed via the Makapu‘u Point Lighthouse Trail, a 2-mile round-trip trail involving an uphill climb to 500-foot elevation under hot, dry, and windy conditions. The surface is, paved, being a former access road to the lighthouse. Hat, sunscreen, and plenty of water are recommended. 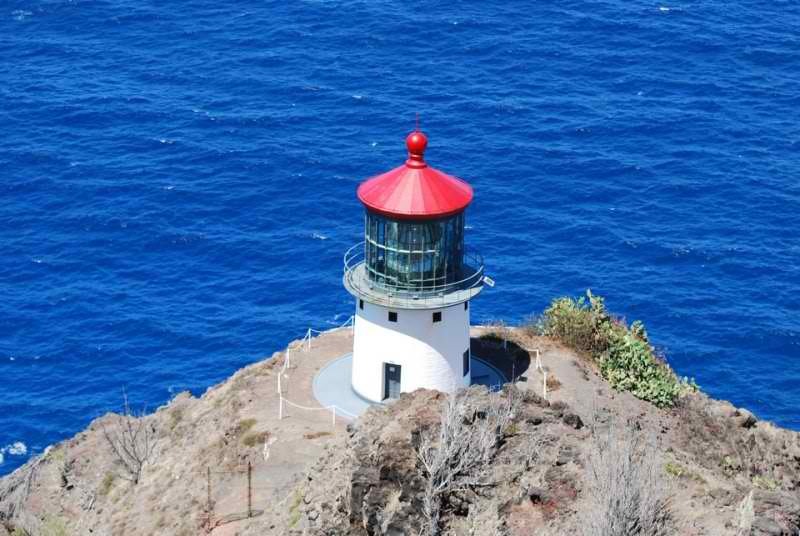 The lookout spot is above the historic red-roofed lighthouse, built in 1909, where you are treated to sweeping views of Koko Head and Koko Crater along Oahu's southeastern shoreline. The lighthouse itself is not open to the public. Offshore islets can be seen from various points along the trail. These islets are wildlife sanctuaries for Hawaiian seabirds, such as the ‘iwa, frigate bird, and tropicbird. There is no parking lot close to the Ka Iwi State Scenic Shoreline. Visitors park their cars along the side of the road at the trail’s entrance. Once through the gate on foot the trail begins along a fairly flat, kiawe and panini (cactus) lined path. There are no drinking water or restrooms in the park. The park and trailhead are located off of the Kalanianaole Highway (Hwy. 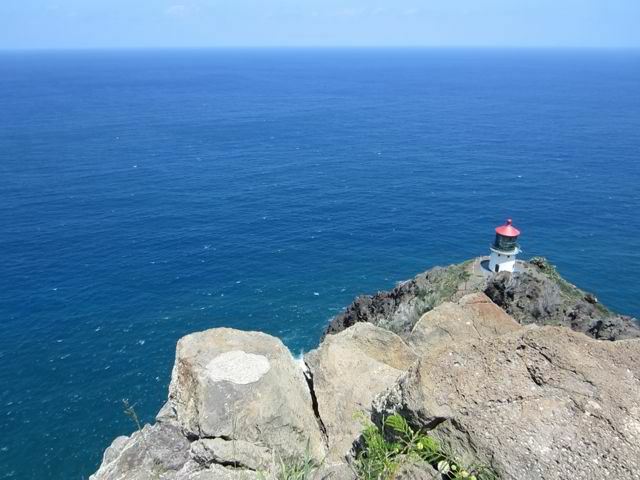 72) at the south-easternmost point of Oahu. From Honolulu, take the H1 freeway east until it becomes Highway 72. Follow the road beyond Hawaii Kai, Hanauma Bay and Sandy Beach Park until you reach the park area adjacent to the highway. 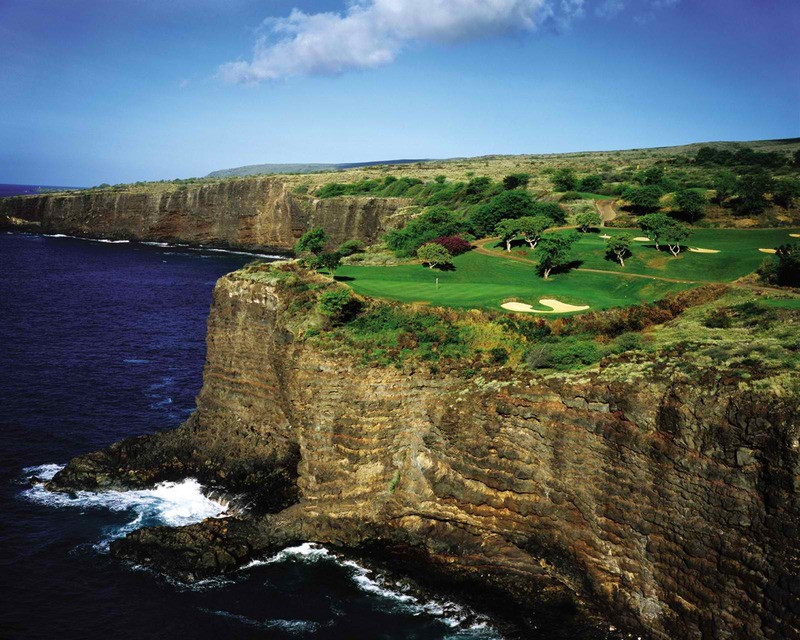 From the windward side, take the Kalanianaole Highway (Hwy. 72) southeast beyond Kailua, Waimanalo, and Makapu‘u Beach Park, after which the road climbs up toward Makapu‘u Head. The park will be on the left side of the highway.